Aurelion Sol is the new champion this patch and will be released at a later date. Nid's not dead in the jungle. Unfortunately she's still just fine clearing and pressuring early. Well, if your secondary happens to be support, that is probably true. 2/12 for top lane when picking top/support. Can I put in Fill/Support and basically get support guaranteed? Do not regret. Always forward, never back. Depends on elo bracket. But supp/fill would be slightly better. I hovered on that single dot just because I couldn't trust you not sneaking something in the closing post, Moonbear. That Karma buff looks pretty insane, that's so much more shield scaling. I've always felt that it was super underwhelming especially in late game, hopefully that double ratio buff makes it so her 3rd and 4th item support scaling much stronger as a midlaner. If you build a comp around the RE, it's going to be very powerful. Looking at something like 700 HP on primary and 350 AoE shield at 3 items, and the ability to go in/out very quickly. You'd need sustained damage from elsewhere though in order to make it work. They constantly weakened hear early game and with Corrupting Potion and Grasp of the Undying made the early game even safer for tanks. That ruins her ability to get ahead of tanks and with the weaker LW makes it so she can't keep up with them in fights even if she itemizes for it. That is why Riven is bad right now. Now, moving on. With the loss of Brutalizer, her lane phase is propped up by the powerspike of Tiamat. It was cheap and gave her the power she needed, but in losing the AOE onhit she was able to control lanes. Now that Tiamat has the AOE again she can't manage wave while having the strength to fight people. This sion skin looks too freaking cool. Well b matters a lot in no boots vs no boots situation when you are pushing and she gets on you. I read that they removed her form switch reset as well or is that false? 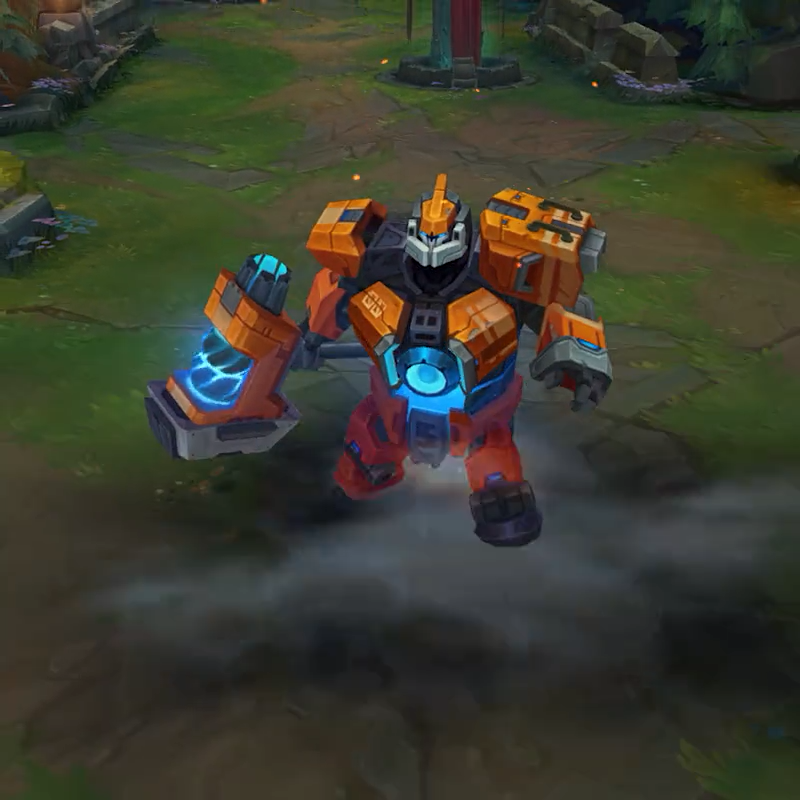 And yes, that Mecha Sion skin looks freaking cool. Those Program Lissandra/Soraka skins are decent as well.